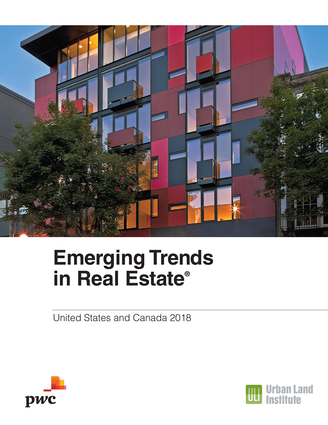 Now in its 39th year, Emerging Trends in Real Estate is one of the most highly regarded and widely read forecast reports in the real estate industry. This updated edition of the annual examination of the commercial market provides an outlook on real estate investment and development trends, real estate finance and capital markets, trends by property sector and metropolitan area, and other real estate issues around the globe. Comprehensive and invaluable, the book is based on interviews with leading industry experts and also covers what's happening in multifamily, retail, office, industrial, and hotel development.